EA Group UK Limited are Nedap Certified Partners. 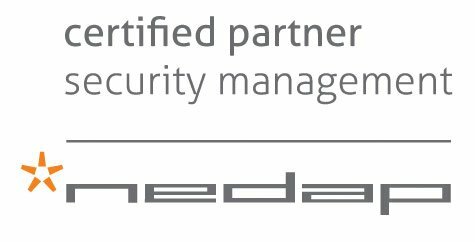 Our experience supplying, installing and maintaining Nedap access control systems spans for over 25 years. On this page, we explain how Nedap AEOS, supplied and installed by EA Group, offers the Monitoring & Control features that enable you to get more from your access control system. The possibilities for monitoring and control are abundant in AEOS and can serve many purposes. AEOS gives real-time feedback on your system’s security state, for example if doors are open too long or there are technical defects. It also allows you to take control via manual or automatic reactions to events, such as enforcing how alarm situations are handled using predefined instructions. This helps to ensure that all AEOS users comply with your policies. AEOS helps to monitor and control aspects such as people flow and presence too. All of these factors contribute to a more effective management of your company. Events can be monitored in a graphical alarm handler, photo event monitor or text event monitor. The graphical alarm handler provides floor plans, which visualise the building’s security status and facilitate actions such as opening doors remotely. To enforce uniform handling, you can predefine instructions for how to respond to specific events. Alarms are automatically escalated to all system users when they are not responded to within a certain time. You can set AEOS to react automatically to specific events. The detection of an unauthorised badge can trigger a camera to turn, for example, and an attempt to tamper authorisations can send a text message to notify key people. AEOS Guard Tour ensures you can track guards on their tours. You can monitor their progress when performing actions at checkpoints and an alarm will be raised if irregularities occur. AEOS provides an audit trail of all operations performed in the system, including the issuing of replacement badges and the way in which events are followed up. You will gain insight into all tasks executed in the system and who was accountable for them, including an exact time stamp. AEOS allows you to monitor the status of your system and network architecture, so you are aware if parts of the system stop working due to technical defects or network problems. You will be notified automatically via email or SMS if a malfunction occurs. A search engine and multiple filter options allow you to monitor whether specific people are present and in which part of the building. A list of everyone in the building can be generated instantly, if there is an emergency for example. AEOS counts the people accessing and leaving an area, allowing you to control the number of people that can be present there at any one time. Access will be blocked once the maximum number is reached, and a warning event can be generated in advance. When you have set the maximum time someone may be present in a specific area of the building, an event will be triggered if they exceed the time limit. re-enter a zone. An alarm is triggered when the number is exceeded, or AEOS can block access automatically. If you are considering implementing or replacing access control as part of you security plan or project, please get in contact with us and one of our Nedap AEOS specialists will be able to advise you of the best options available to you.